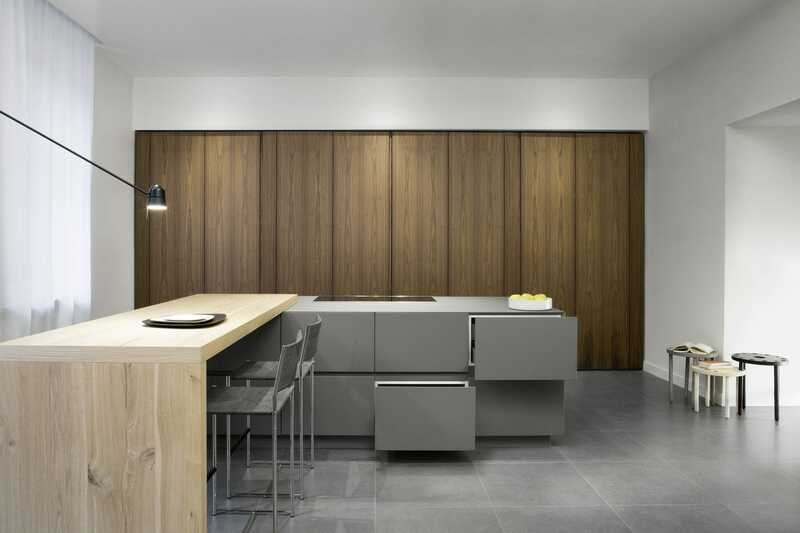 The solutions make this retractable kitchen functional. 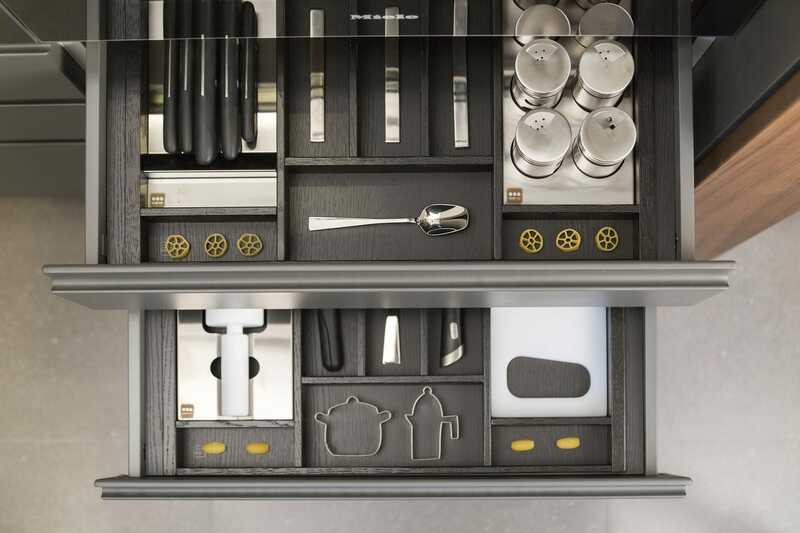 The selection of materials helps customise the environment. A tribute to materials: authentic and natural, unaltered standing out for their quintessential aesthetic value. 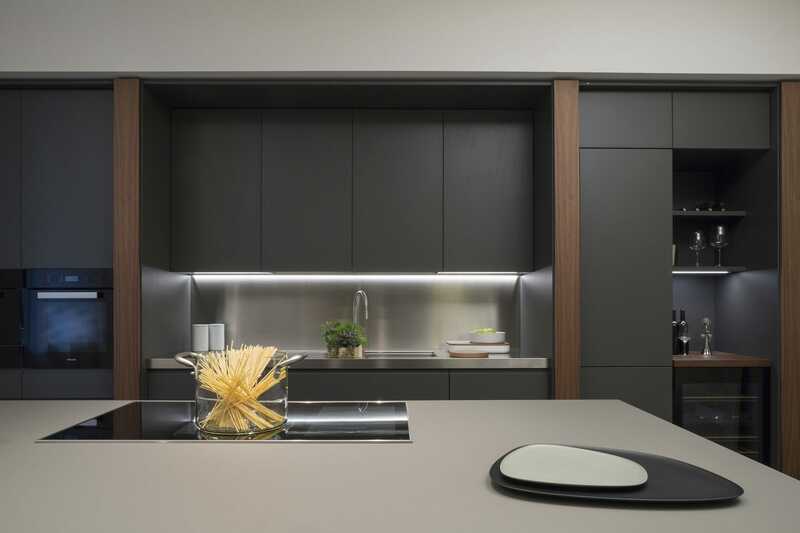 The island is based on the T30 Evo concept, with the worktop in “fenix” laminate and the doors in a custom lacquer color that ensures a chromatic continuity with the countertop. The table is veneered in oak with split knots. 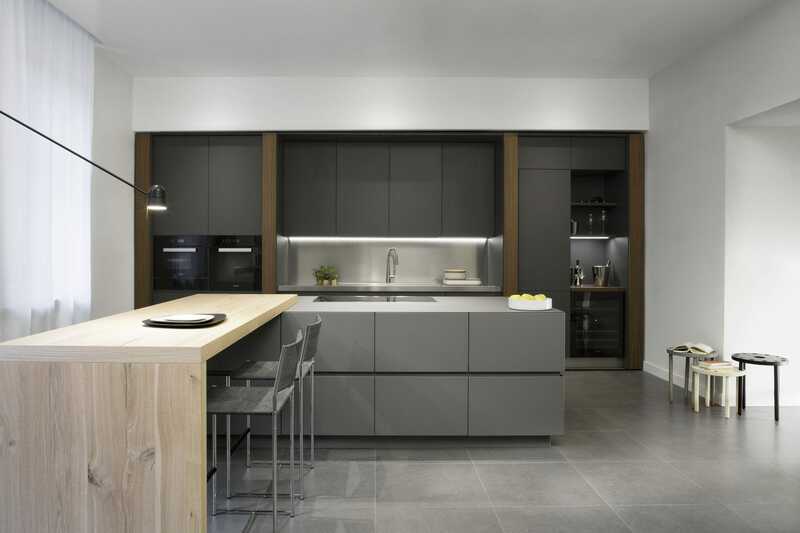 The matt grey lacquer floor to ceiling units and the stainless steel worktop can be concealed by pocket doors in Canaletto oak.